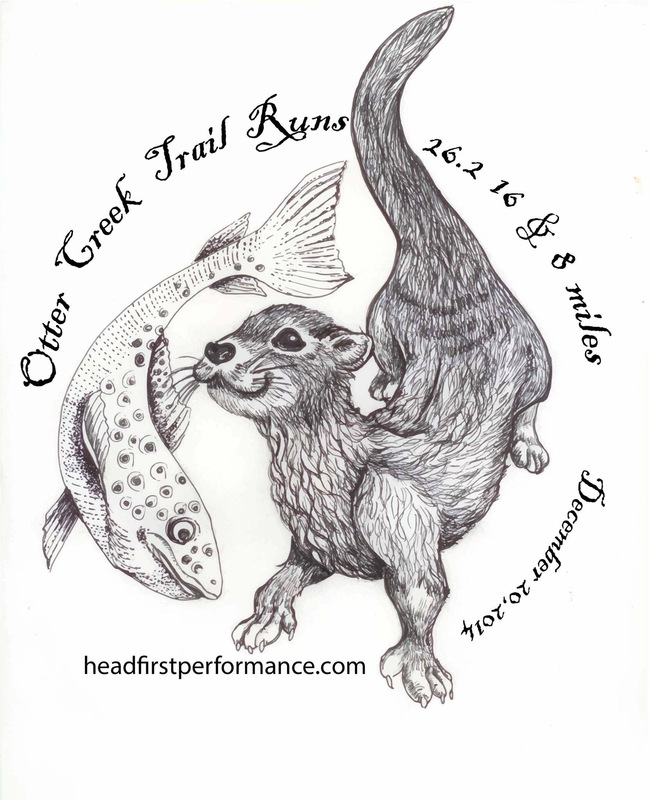 Otter Creek Trail Race – Preview – Dec. 20, 2014 | Runner. Writer. Renegade. There are three of us in my running group who have December birthdays within about 10 days of each other. For years, we’ve talked about — but never had — a collective birthday party. But this year is different. It’s our big three-oh. We decided to celebrate our “dirty 30” literally — by running the Otter Creek Trail Race on Dec. 20. This is a great low-key race at a gorgeous park in the Louisville area, offering a trail marathon along with 8 and 16 mile options. Race directors Todd and Cynthia Heady always host a fun event, complete with post-race beer and chili. Homemade chili — a number of friends and volunteers start the chili in slow cookers the night before, when a bunch of them stay in cabins in the campground. The race is held on an 8-mile loop course with one aid station about halfway. It is hilly, about 675 feet of climb per loop by my watch. Because it’s near the Ohio River, the first 6 miles are net downhill with some rolling hills scattered throughout. As you get around mile 6, you get beautiful views of the Ohio River Valley. Unfortunately, you then have to start climbing back up. It’s about 600 feet of climb, pretty much straight up, over about a mile. As with any trail race, footing is a key issue. Otter Creek is a nicely-packed trail, with a lot of clay. The bad thing about clay is that when it gets wet, you slide. Big chunks of it will just go sideways with you. That said, anyone opting for the longer distances have to deal with all the churned-up mud from earlier runners. On really wet years, those second and third loops have gotten really messy. There are a couple of creek crossings, not usually too bad, but the rainfall is pretty unpredictable. There’s also a darn good chance of snow, too. There’s also a good amount of leaf coverage, which can hide holes in the trail. Believe me — I found that out in 2012 when I put my foot down on what turned out to be a hole that turned my ankle totally sideways. Heck of sprain. It’s a straightforward trail, no spots where you can get turned the wrong way. In addition to the great post-race party, the shirts and prizes are always custom-designed by local artists. The shirts are always amazing. Then again, you’ve got an otter logo to work with, so you’re set up for success. Prizes have included headbands, scarves, wooden ornaments, socks with the park logo… lots of unique, one-of-a-kind items way cooler than your typical medal. If you’re looking for a fun race to cap off 2014, come join us as we celebrate a trio of 30th birthdays. We’ll bring the cake!